Steel Quality: Grade 80 steel was the quality standard for many years - Rigging.com is now offering the higher quality grade 100 chain slings - Due to our commitment to safety we no longer carry grade 80 with one exception - During our transitional period, chain size 7/32" slings are still sold as grade 80 and will be upgraded soon. The Difference: Low quality slings can cause injury and damage. 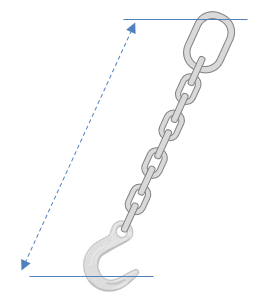 Look-a-like chain slings, often found at lower prices, are also often advertised to conform to the same safety standards if at all. Be aware that it may refer to safety ratings in effect decades ago. 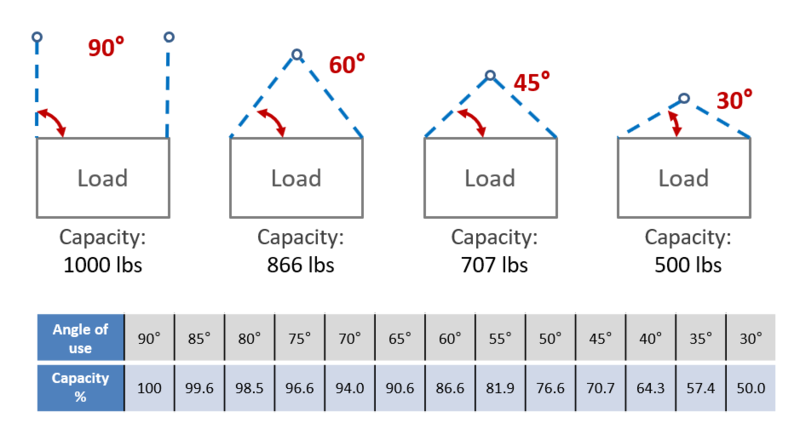 So for example, under the same safety standard a decade ago, a chain sling may be rated to 100% without proof load testing while today it may be 300% with proof load testing. Be assured that we only sell the highest quality chain slings and our advertised safety standards conform to the current ASME standards.